340 Beacon is located on north side of Beacon, between Fairfield and Gloucester, with 338 Beacon to the east and 342 Beacon to the west. 340 Beacon was designed by Snell and Gregerson, architects, and built in 1880 by Webster & Dixon, masons, as the home of Henry Stackpole, a banker, and his wife, Bessie (Value) Stackpole. They previously had lived at 307 Beacon. Henry Stackpole is shown as the owner on the original building permit application, dated March 15, 1880. Bessie Stackpole purchased the land for 340 Beacon from the Boston and Roxbury Mill Corporation on November 19, 1880, after the house was substantially completed, presumably under an earlier purchase and sale agreement. The house was numbered 338 Beacon until about 1889. Click here for an index to the deeds for 340 Beacon. 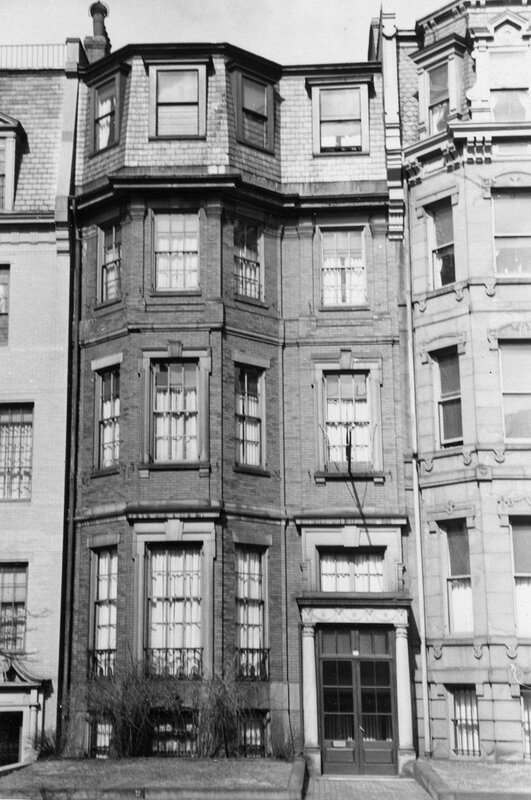 The Stackpoles continued to live at 340 Beacon during the 1911-1912 winter season, but had made Nahant their home by 1913, and were living in Cambridge at the time of his death in December of 1915. 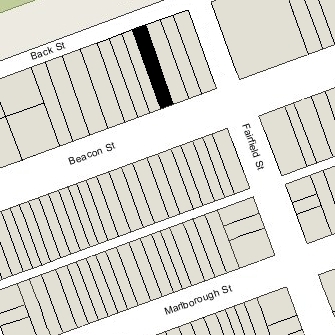 After his death, Bessie Stackpole lived at 395 Beacon. On August 12, 1912, 340 Beacon was purchased from Bessie Stackpole by Gladys Baldwin (Brooks) Thayer, the wife of Eugene Van Rensselaer Thayer, Jr. During the 1910-1911 winter season, they had lived at the Hotel Puritan at 390 Commonwealth, and during the 1908-1909 season they had lived at 164 Marlborough. They also maintained a home in Lancaster. A former investment broker, Eugene V. R. Thayer was president of the Merchants National Bank in Boston. In September of 1912, he applied for (and subsequently received) permission to remodel the house, including lowering the front entrance to street level so that it entered into the basement, and adding a rear ell. The remodeling was designed by architects Bigelow and Wadsworth. Plans for the remodeling are included in the City of Boston Blueprints Collection in the Boston Public Library’s Arts Department (reference BIN A-67). 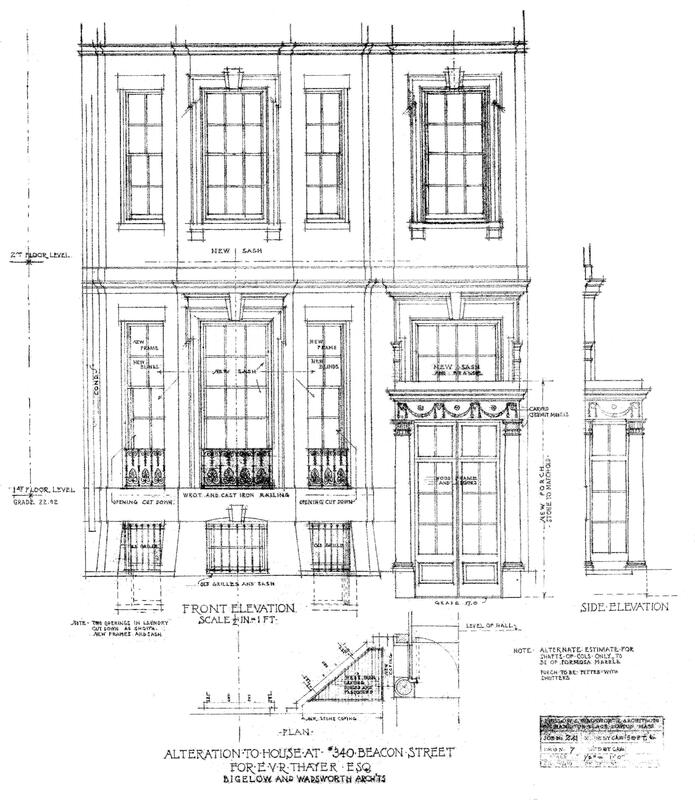 Click here to view scans of selected drawings from the 1912 remodeling. The Thayers continued to live at 340 Beacon until about 1918, when they moved to New York City and he became president of Chase National Bank. On March 29, 1918, 340 Beacon was purchased from Gladys Thayer by Eda (Friedman) Hecht, the wife of wool merchant Simon Elias Hecht. They previously had lived at 16 Keswick. They continued to live at 340 Beacon during the 1920-1921 season, but moved thereafter to Brookline. On September 20, 1921, 340 Beacon was purchased from Eda Hecht by shoe manufacturer Albert Morton Creighton and his wife, Margaret (Abbott) Creighton. They previously had lived in Lynn. They also maintained a home on Little’s Point in Swampscott. In October of 1921, Albert Creighton applied for (and subsequently received) permission to build a garage at the rear of the property. The addition was designed by Bigelow and Wadsworth. Plans for the garage are included in the City of Boston Blueprints Collection in the Boston Public Library’s Arts Department (reference BIN A-67, with the plans for the 1912 remodeling). The Creightons continued to live at 340 Beacon until his death in June of 1966. On December 13, 1966, 340 Beacon was purchased from Margaret Creighton by Marchant W. Eldridge and his wife, A. Ruth (Thomas) Eldridge. He was a personnel officer with New England Mutual Life Insurance. On May 14, 1975, they transferred the property into A. Ruth Eldridge’s name. 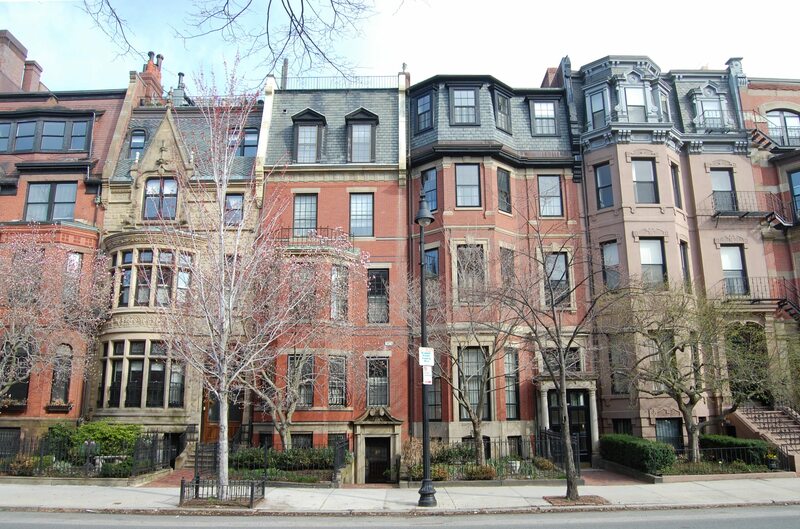 On December 14, 1979, Ruth Eldridge transferred 340 Beacon to their son, David M. Eldridge, as trustee of the 340 Beacon Street Trust, and in the same month, he filed for (and subsequently received) permission to convert the property into five apartments. 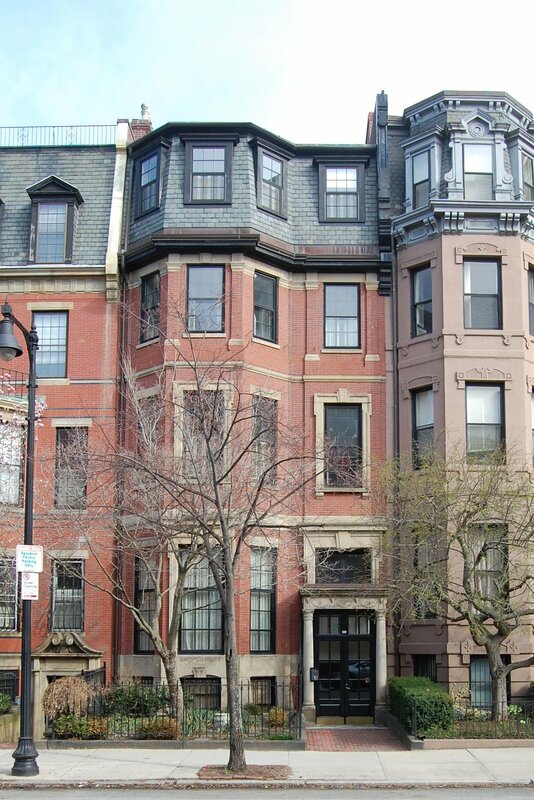 On January 3, 1980, David Eldridge converted the property into four condominium units, the 340 Beacon Street Condominium.